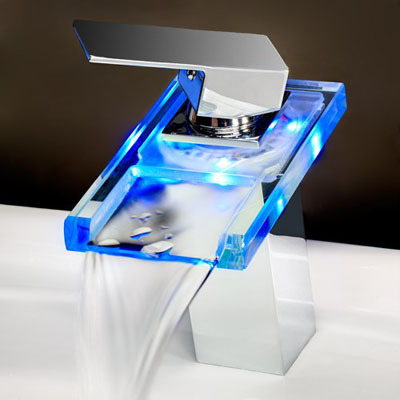 This is a gorgeous Temperature Sensitive LED lavatory faucet for modern or futuristic bathroom. It’s definitely going to be attention grabber, forget your conventional monotonous faucet, this unit gives your bathroom a wow factor. 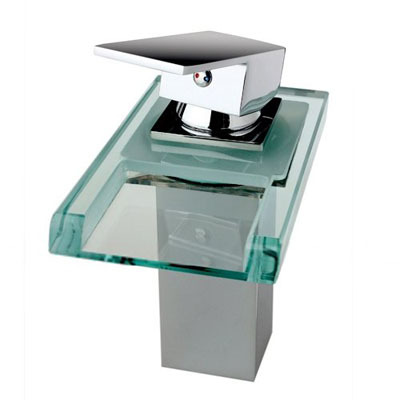 If you are upgrading your conventional bathroom to something more modern and high-tech, you should consider this unit as your new bathroom faucet. The LED turns to blue when the water temperature is around 0-30C, green when 30-40C (warm) and red when 50-100C, a simple glance will let you know the current water temperature. It would be great to have this faucet in your kid’s bathroom. Temperature Sensitive LED lavatory faucet is activated automatically by its 4 AA batteries (unfortunately not included) when water flows. The durable ceramic cartridge material is used to avoid leaking while the solid brass construction ensures great performance that lasts for years. Finished in chrome, it adds elegant touch to the overall design. 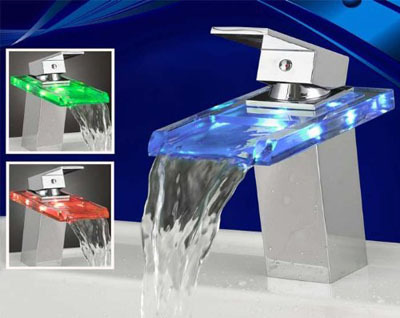 CLICK HERE to get further details about this single level handle LED faucet, you can also read essential requirements needed when you install this unit. There are negative reviews about this faucet that we need to inform you here. Some customers have reported that the instructions are far from easy to follow, if you are not a plumber, you might want to hire one. On the other hand, this unit has been recommended by many people due to its uniqueness, color changing LED and reasonable price. CLICK HERE to read many customer’s suggestions when it comes to install Temperature Sensitive LED Lavatory Faucet properly, you can also complete the set in your bathroom by installing LED shower head. This entry was posted in Bathroom Faucets and tagged attention grabber, bathroom faucet, brass construction, elegant touch, lavatory faucet, plumber, water temperature. Bookmark the permalink.